Criminals' cash will help Scottish young people. Some of the country’s most disadvantaged young people will benefit from £17 million seized from criminals, Justice Secretary Michael Matheson has announced. 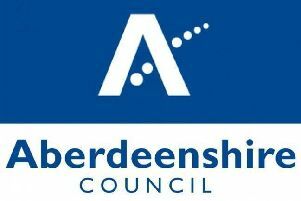 The money will be used to provide activities and opportunities as part of the next phase of CashBack for Communities which will run from April 1, 2017, until March 31, 2020 – with applications for funding opening early in the summer. Mr Matheson made the announcement while visiting Granton Youth Centre where he met some of the young people already benefitting from the scheme. He said: “I am extremely pleased to be able to announce a further £17 million of funding for the unique CashBack for Communities programme. “This substantial amount will go a long way to changing the lives of our young people and it seems only fitting that this money seized from the criminals who seek to peddle misery in some of our most disadvantaged communities is reinvested back in to those same areas. “As a Government we are committed to tackling inequality and CashBack offers every young person, regardless of their background, the opportunity to get involved in positive activities in their communities. It is my intention to focus this round of cash on improving the attainment, ambition and aspirations of our most disadvantaged young people.